Ma Dai alwas has a -1 bonus. 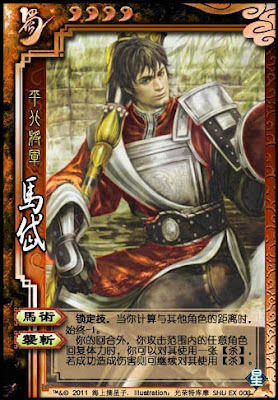 Outside of his turn, when anyone within Ma Dai's attacking range recovers blood, he can attack them. If it hits, Ma Dai can attack again. If the target stops any of Ma Dai'd attacks, Ma Dai cannot attack again.